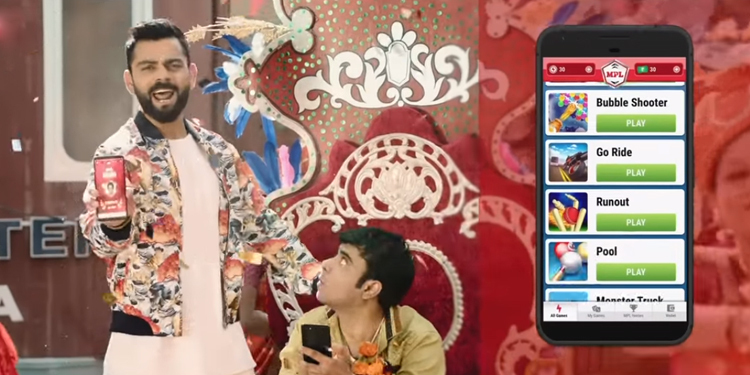 Mumbai: Following the appointment of Lowe Lintas Bangalore as its creative agency, Mobile Premier League has launched its maiden advertising campaign featuring cricketing-star Virat Kohli. The campaign celebrates budding heroes from the streets of India. Commenting on the maiden campaign, Sai Srinivas, CEO, Mobile Premier League said, “We wanted to launch with a bang and ensure our first TVC resonates with our brand and customers, which is why we wanted to keep it young, full of energy, exciting and appealing to Indians across. You will see Virat Kohli in a completely new avatar; shaking a leg with the heroes of Mobile Premier League that resembles a typical Bollywood song and dance celebration. Through this piece of communication, we hope to drive customer interest and build awareness about our brand, inspiring everyone to play MPL and win and become a Hero”.